Pratt Industries has been selected as sole supplier of the Kroger grocery store chain’s private label in-store displays. The partnership with Pratt’s Display Division will bring sustainably-sourced packaging to all of the grocer’s stores and reinforce Kroger’s ongoing commitment to the environment. Pratt’s winning proposal was based on a modular display program designed with common/interchangeable parts and graphics packaging manufactured using the company’s 100% recycled containerboard. From data provided during the formal bidding process, it was estimated that each in-store display would average 99% recycled material. 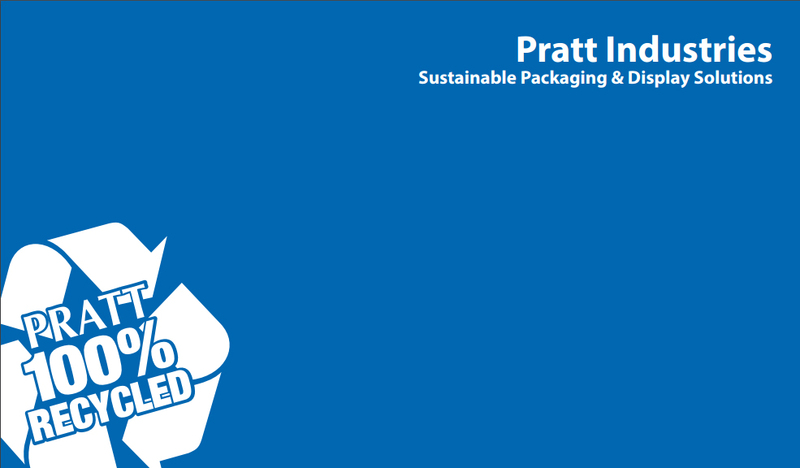 “We have developed a sustainability scorecard that can calculate, capture and report the environmental benefits of using recycled materials,” said David Connors, Vice President of Sales and Marketing at Pratt Display. “Its eye opening to be able to quantify the resources saved – trees, KWH electricity, gallons of water and cubic yards of landfill,” he said. According to Pratt’s calculations, the floorstand part of the program alone will save 66,300 trees; 27.3 million gallons of water; and 15.6 million kWhrs of energy; divert 12,870 cubic yards of landfill; and avoid 3900 tons of CO2 emissions. In addition to the environmental benefits, the program’s specific graphics and display structures will create a more uniform look in-store and increase corporate brand recognition among consumers.